Today is a HUGE day me and crocheTime. It’s the official launch of my first pattern! 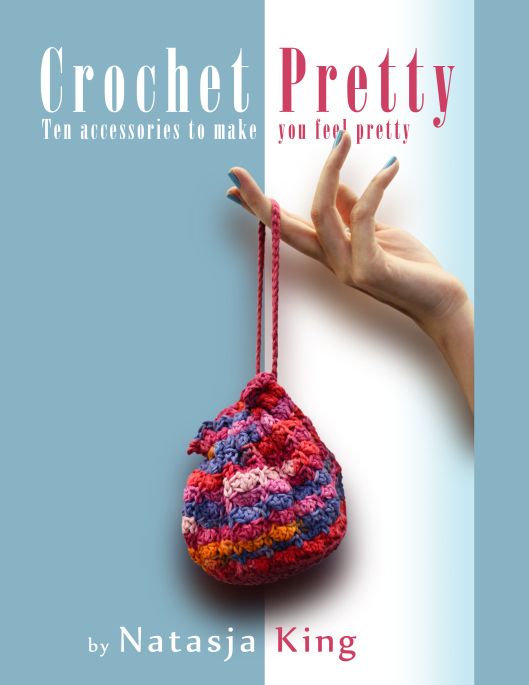 It’s this pattern that kicked of my little crocheTime shop and lead to this blog. It’s the crochet wall clock pattern!!!!!!! 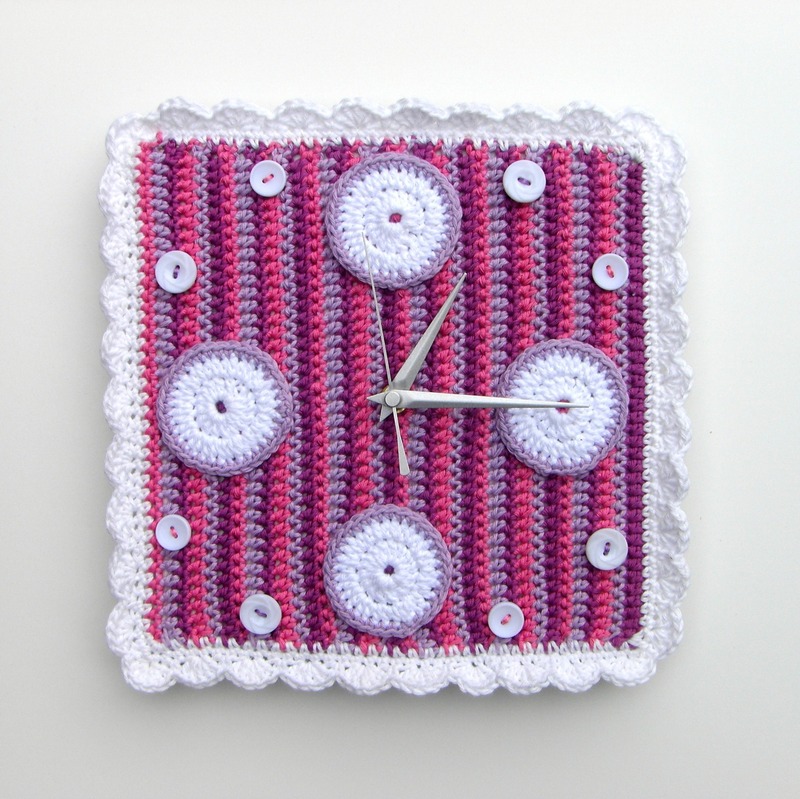 Now you too can crochet a clock for yourself or as a gift (please don’t sell it as it’s still copyrighted to me). I listed it on Ravelry last night. 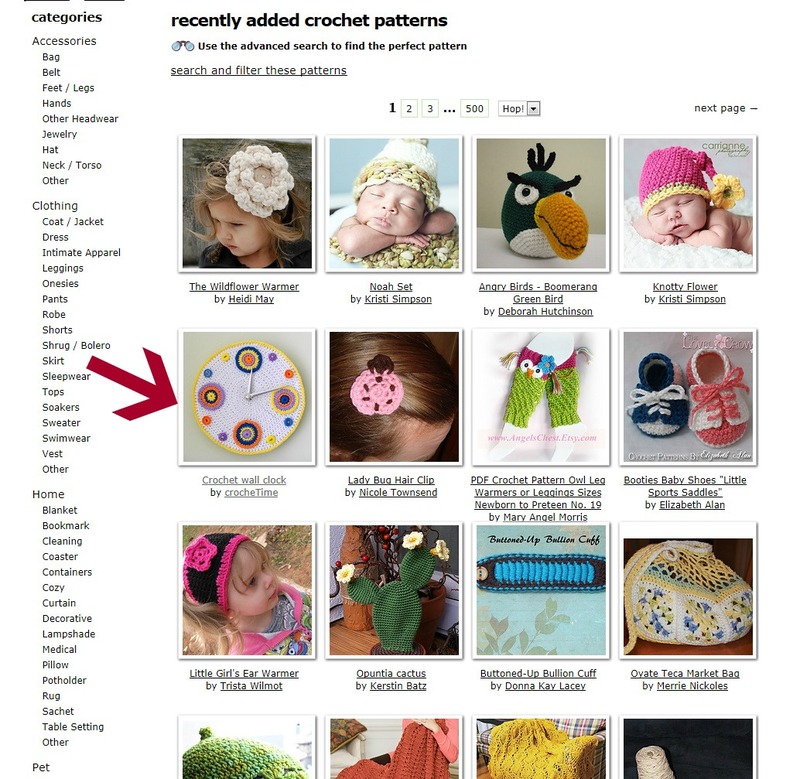 What a rush to see my own little pattern right there in “recently added crochet patterns”! The possibilities with this clock really are endless. You don’t have to use white for the clock face, and of course the four cirlces can be any colour, or combination of colours. I also give crochet instructions for four different types of edgings, so even if you stick to circles for numbers 12, 3, 6 and 9 you can make four different clocks just by changing the edge. To personalise it further you can use any applique type crochet design (like I did with flowers) for the 12, 3, 6 and 9. As long as it’s flat enough that clock hands can move over it freely. I’m thinking stars, hearts, cupcakes. Anything will do! Apart from crocheting instructions I also explain (and show with a couple of photos) how to assemble the clock, using hardboard and a hot glue gun. The pattern can be purchased for £3.50 in my Etsy shop. Just click here to go straight to the listing. If there are any buyers from South Africa, you can choose Other as your payment option and pay R35 into my FNB account. Just send me a message via Etsy and I’ll give you the bank details. Once payment is received I will email you the pattern as a PDF file. Everyone who buys a pattern between today and midnight GMT on Friday 3 February will go into a draw to win this clock. I’ll draw the name at random on Saturday 3 February and let you know via my Facebook page and the blog who the lucky winner is. I look forward to sending out lots of clock patterns to you all. Lets hook around the clock!!! Wow, that’s so cool Mo! 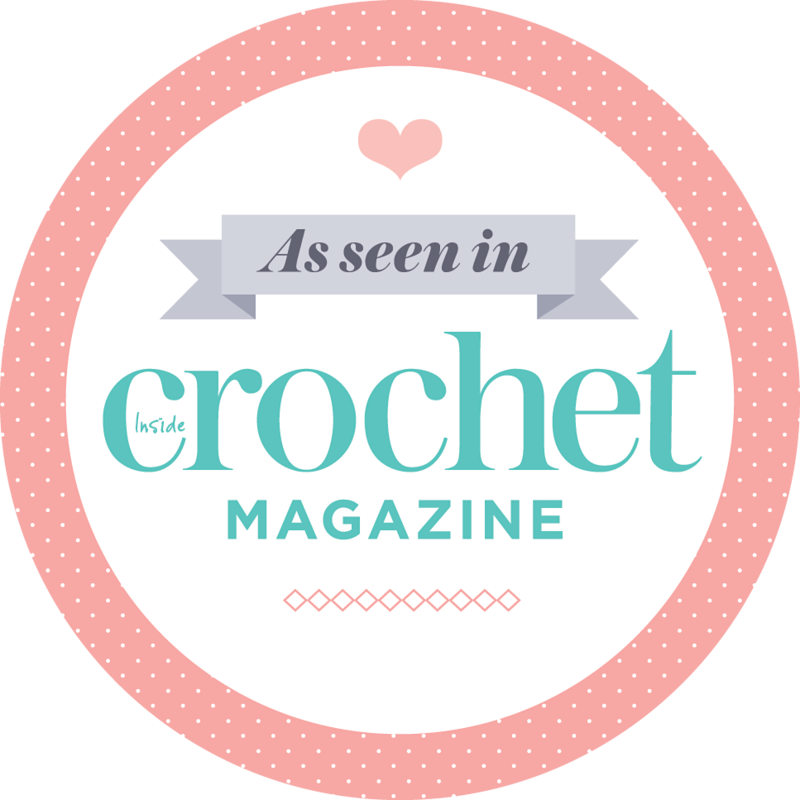 I’m so glad that the Gods of Crochet roped me in to make you happy 🙂 Your pattern will be on its way in a couple of minutes. Thanks for the purchase!! !